The Sisters of Nazareth (also known as the Poor Sisters of Nazareth), was a Catholic order founded by Victoire Larmenier (later Mother St Basil) in 1851. By 1878, there were eight homes for homeless children and poor elderly people. Other Nazareth Houses followed. The homes for children in this country have, as far as I know, closed but some are still in use as homes for elderly people, and area of work which the Sisters of Nazareth still focus on. This page listes the former Nazareth House Orphanges and Children's Homes that I know about, there are others. If you know of any other Nazareth Houses for children that I have missed, or you have information and memories (or corrections) about the ones listed, please let me know. Thank you. 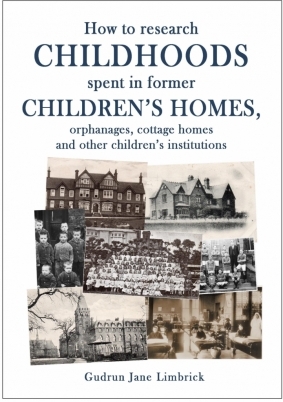 - Anne Fothergill has written a book called Memoirs of a Nazareth House Girl. I haven't been able to find the publisher but it seems to be available on Amazon and it also featured in the Northern Echo. Memories and pictures can be found on the Gazette site. - In 1971, a new orphanage was built next door to the old one. - Photos here on a history forum. - Did this accommodate children as well as elderly people? I have heard mixed reports about the sorts of records they have kept. If you have experience of applying for your records from them, please let me know so that we can let others know what they might expect. "Hi. 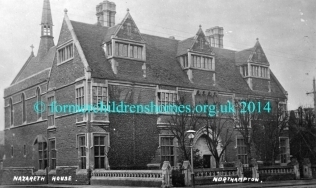 I was in Nazareth House Bristol in 1960 prior to being adopted. I applied 2 years ago to Nazareth House Hammersmith for my records and they told me they had no records of me at all. However I tried the Catholic Children's Society Diocese of Clifton and they had all my records. So this information might help others in the same position." Out now!Get your copy here! Nazareth House, Bristol to take 20 children to the seaside for the afternoon. "We would collect the children after lunch and drive them, 2 or 3 to a car to Berrow Sands. Most were aged between 5 & 10 although a few were younger than this. I don't think any had seen the sea and sand before so many of the children made a dash for the sea fully clothed. we gave them a picnic lunch, drinks, ice creams, made sand castles and played games. "We all enjoyed it and I like to think we gave them a happy day out that they would remember. We didn't know their surnames and I only remember a few of the christian names, I do have 2 or 3 photos. "It was so successful that it became a regular event for the next 3 yrs, normally held the first Sunday in August."